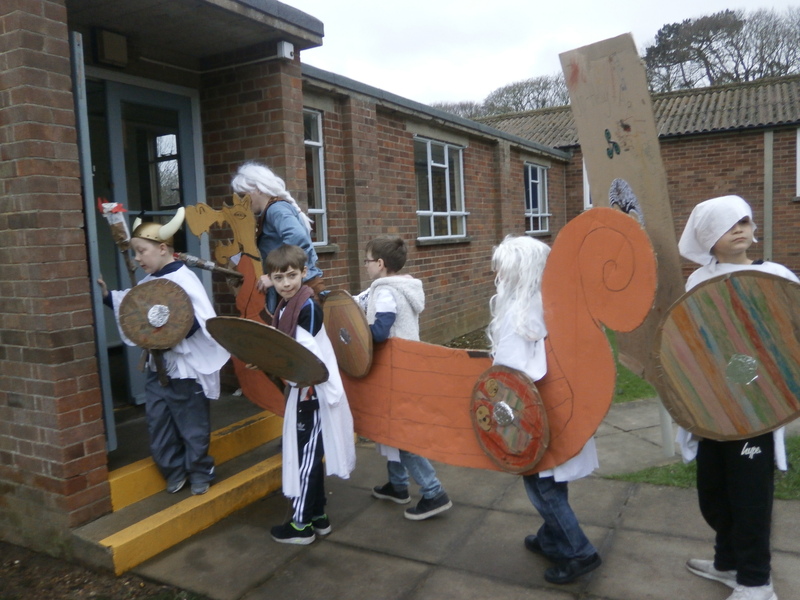 On Friday 9th of February, Olive had a theme day to put an end to their topic that term ‘Vikings’. 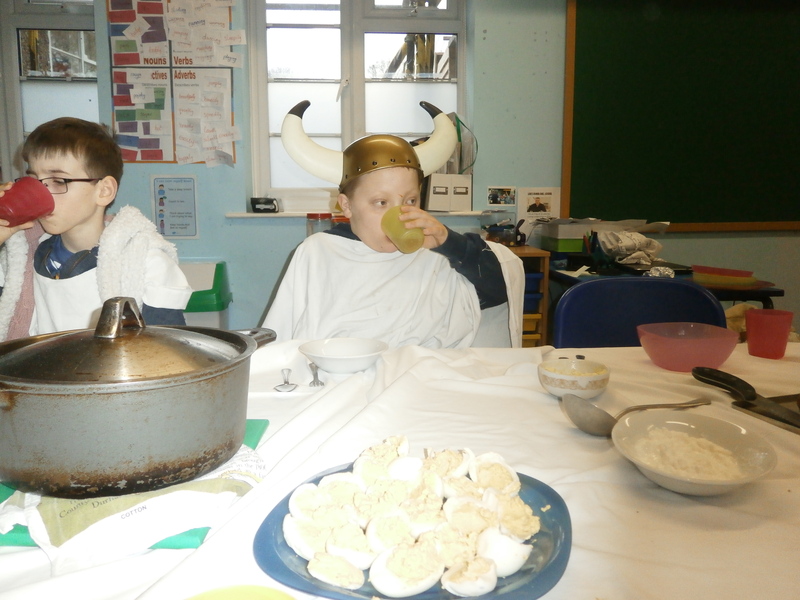 The Olives got dressed up in Viking style wear and made a long boat and some torches. 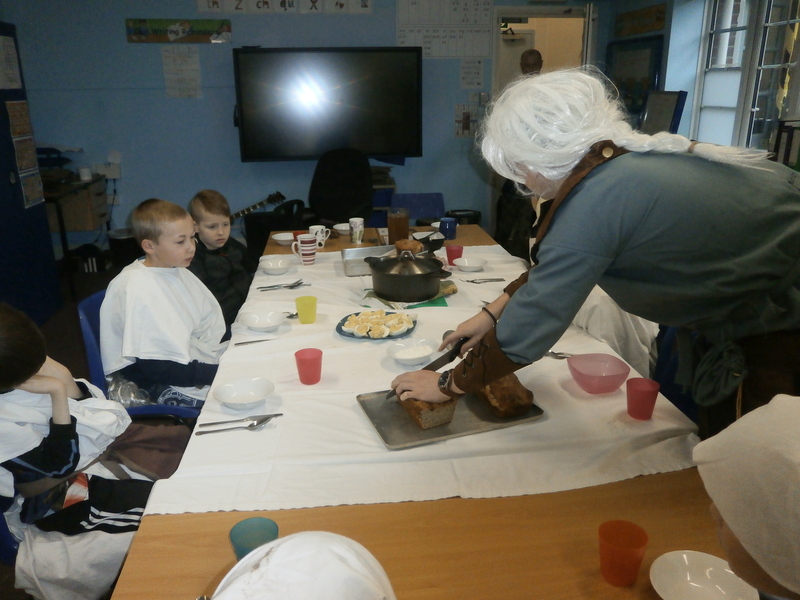 They also prepared and cooked a viking feast of bread, ham stew and some viking style snacks! 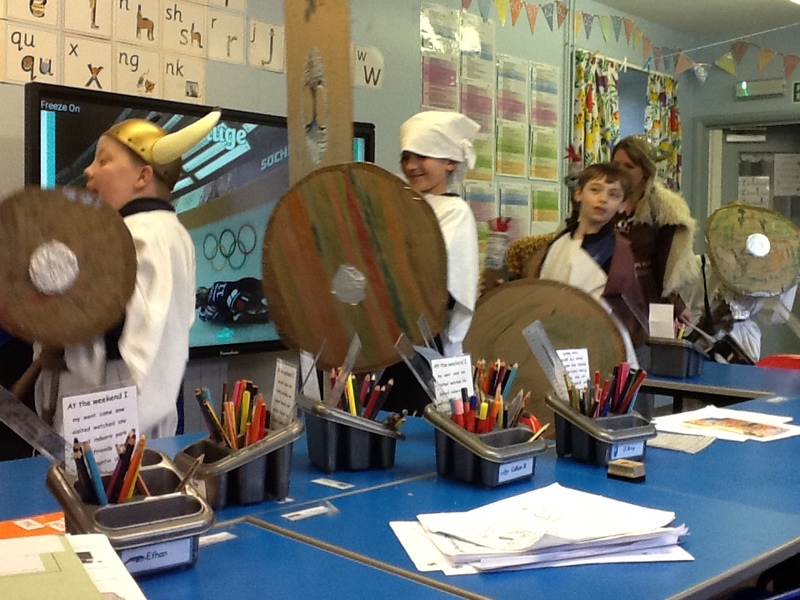 After the feast the whole class learnt a song which is sung in a viking festival called up helly aa. 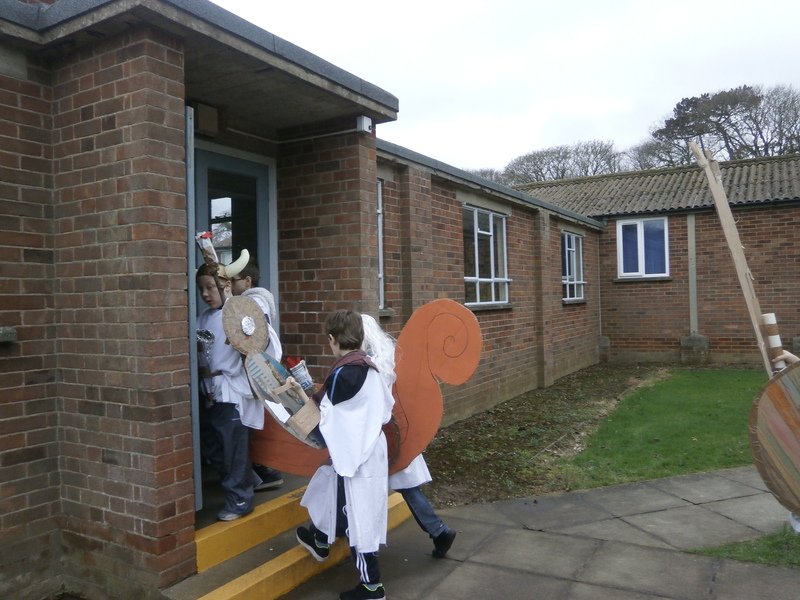 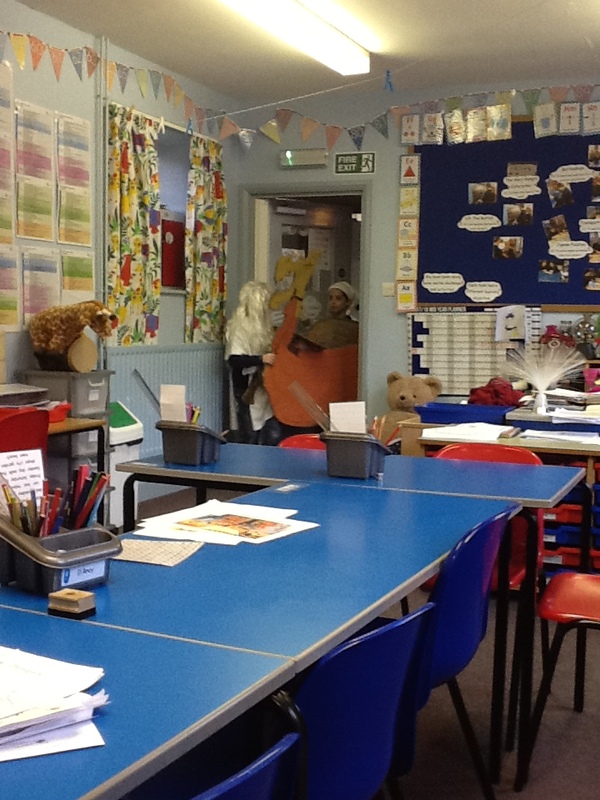 The Olives invaded classrooms around the school singing songs with the long boat and torches. 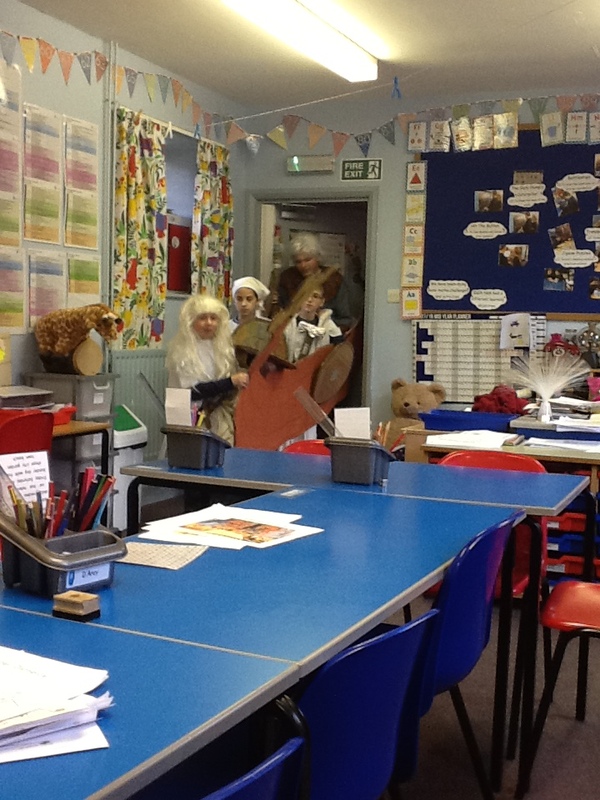 It was a really fun day which they all enjoyed, even Mr Hield who especially enjoyed wearing his long blonde wig.